Experienced symphony quality string musicians playing wonderful wedding ceremonies, cocktails & dinners. Selections by classical composers such as Bach, Handel, Mozart, Pachelbel, Vivaldi, Purcell, Mendelssohn, Beethoven, Clarke and many contemporary songs from current popular music groups. Choose your favorite pieces from their repertoire to create a magical musical experience. Can be augmented with piano or horns. Posted 01/27/2019 on The Knot. 5 Star Review. 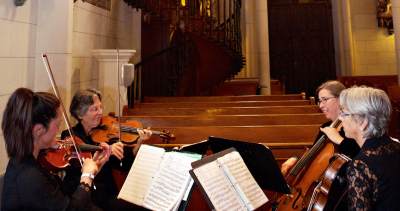 "Vicky booked us their beautiful string quartet - CIELO STRINGS - for our wedding ceremony, and it was nothing short of spectacular. Our guests were blown away by how wonderful the musicians were. I was expecting it to be elegant but nothing could prepare me for how perfect the music was. Our guests are still picking their jaws off of the Loretto Chapel floor. Amber." 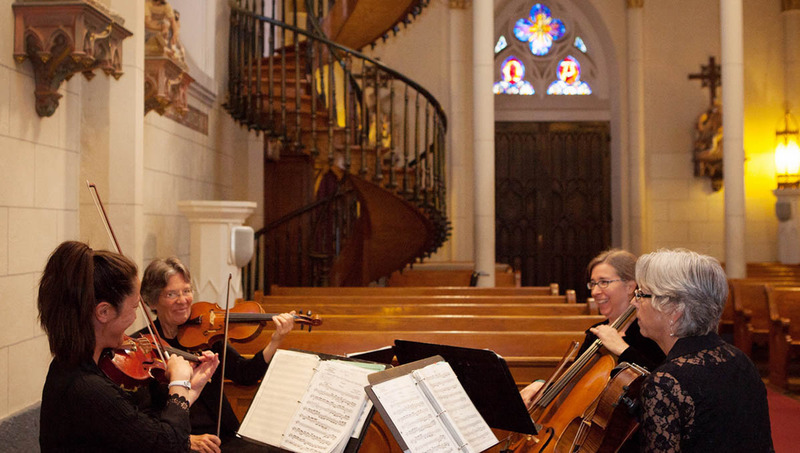 "We hired Cielo Strings string quartet for our ceremony in Santa Fe and they were outstanding! Vicky Speer was the contact and handled all the arrangements of the day. She is very professional, patient, had great suggestions, and overall terrific to work with. Our niece sang a piece with the string quartet and Vicky was able to help us match it up to the key our niece sang--example of her amazing, detailed service. The live strings were truly everything--so elegant and memorable of our day. Thank you, Vicky & Cielo Strings!" "The quartet was amazing! Thank you again for everything!" 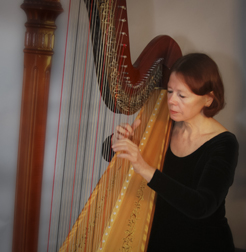 Consider the romantic Harp for your wedding music. 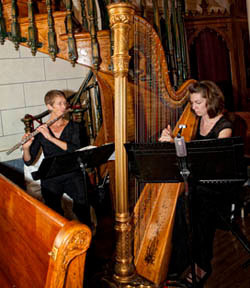 You can choose from traditional wedding repertoire, request your favorite songs, or explore unusual classical and popular favorites that will give your wedding ceremony and reception a special flair. Duo with flute is also a wonderful option. A professional piano entertainer since college, Linda performed and did recording studio work in the US and internationally. 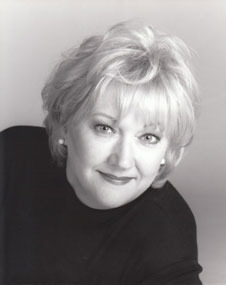 Linda relocated to Santa Fe from Houston and is involved with the New Mexico Film Industry. 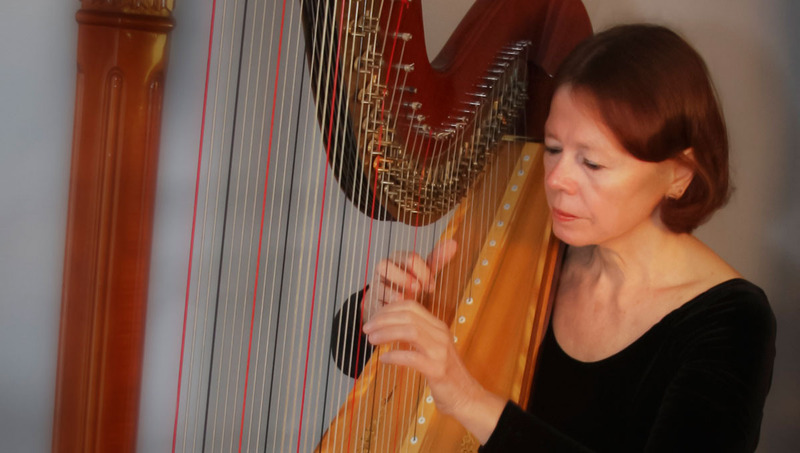 She continues to perform in Santa Fe and has played for numerous weddings at the Loretto Chapel, St. Francis Auditorium and others venues.